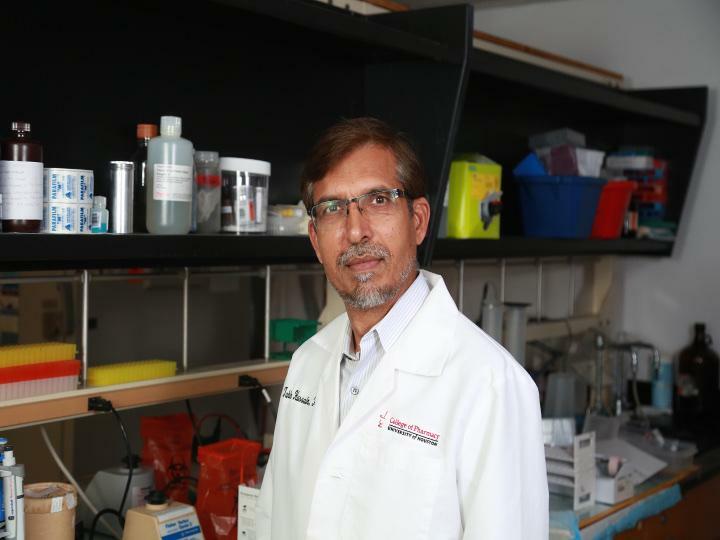 UH professor of pharmacology Tahir Hussain has received $1.6M from the National Institutes of Health to examine a kidney cell that could prevent damage from inflammation caused by obesity. The targeted cells express a protein called the angiotensin type 2 receptor (AT2R), which recently has been indicated to have anti-inflammatory and reno protective actions. Hussain says, if activated, the AT2R will protect against chronic and acute kidney injury. He will study the impact of inflammation in kidneys with the active the AT2R as well as kidneys with no AT2R. "What I'm proposing in this grant is that certain cells in the kidney can protect the kidney itself," said Hussain. Inherently in the body the expression of AT2R is low. "It's weak," said Hussain, "but because we know it has anti-inflammatory activity, we want to pump it up." To strengthen it, Hussain will use a drug that binds to it and activates it. One-third of the US population is obese, and the annual cost to manage/treat obesity-associated disorders is estimated by NIH to be as high as $125 billion. These disorders include chronic as well as acute kidney injury (AKI). Chronic kidney injury is the result of progressive loss of kidney function leading to irreversible damage, while AKI occurs as an abrupt loss of kidney function and usually is reversible. In both processes, inflammation plays a significant role in the initiation and maintenance of the injury. "Obesity is associated with low grade chronic inflammation in the body," said Hussain. "Up to half of the body's inflammation comes from fat cells." While everyone has fat cells, in obese people the cells can expand to the point of bursting. When that happens, immune cells are disbursed to clean up the mess, guarding against infection and illness. That process, said Hussain, is the cause of much inflammation. The larger fat cells also release inflammatory chemicals. In the meantime, the kidney filters 45 gallons of blood every day and some of that blood contains the inflammatory molecules. That exposure can injure the kidneys. "Once kidney injury starts, it does not stop. You can slow it down but you cannot stop it," said Hussain. Hussain is hopeful that his research will one day work to stop kidney disease caused by inflammation. "Once we study and better understand the AT2R as a target, making new prevention drugs would be easy," he said. Hussain earlier has shown that AT2R activation with drugs promotes sodium excretion into urine, helping to lower blood pressure. This is the first time the receptor's role will be investigated to protect kidney structure and function against injury in obese subjects.